Slow Cooker Hawaiian Pineapple Chicken, It's Easy & Addictive! Slow Cooker Hawaiian Pineapple Chicken, It’s Easy & Addictive! When it comes to mouthwatering crockpot recipes, this Slow Cooker Hawaiian Pineapple Chicken is in a league of its own. I’m always on the hunt for ways to utilize my beloved crockpot even more. That’s why I was beyond THRILLED to find this life-changing Slow Cooker Hawaiian Pineapple Chicken recipe! With only 15 minutes of prep, this recipe is the perfect meal to come home to after a long day at work. Slow Cooker Hawaiian Pineapple Chicken is healthy, hearty and hassle-free — making it the ultimate comfort food! The onions, bell peppers and crispy chicken thighs will give your taste buds the experience of a lifetime. However, my favorite part about this divine dish is still the flavor-soaked pineapple chunks — and that’s not even the BEST part! 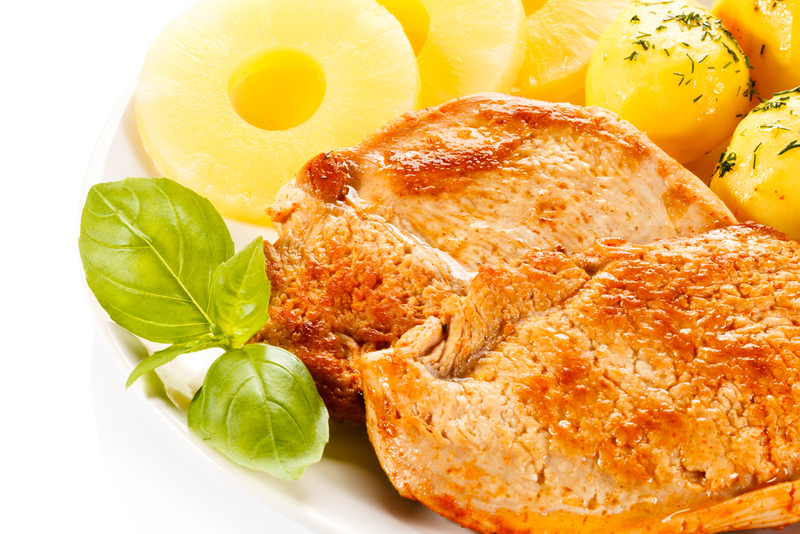 So what’s the BEST part about Slow Cooker Hawaiian Pineapple Chicken? It will impress everyone at the dinner table — including the picky eaters! This recipe is simple, delicious and surprisingly nutritious. Using a skillet or the cast aluminum slow cooker insert, brown your chicken thighs on both sides for 3-5 minutes over high heat then remove them from the slow cooker. Add the pineapple and onion to the bottom of the slow cooker. Mix the honey, soy sauce, brown sugar, grated ginger and garlic into the slow cooker. Carefully add the chicken thighs back into the slow cooker. Add the cornstarch to a tablespoon of water, mix, and add to the slow cooker with the bell peppers and let it cook an additional 30 minutes while you cook some rice to accompany your meal. Serve with parsley for a garnish if desired.